‘Servant leadership’ is the model we strive to emulate in all our structures at RMC. 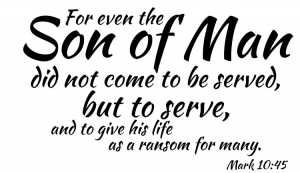 All people in positions of leadership at RMC – from the Master down – seek to serve those around them in different ways. The staff, student executive, Residential Tutors and Duty Officers are all appointed to serve the residents of the college. new leaders in college, we look for people who naturally serve others, rather than those who are natural leaders. But it’s not just because we’re Christian. Over the past few decades, the idea of ‘servant leadership’ has been taking hold in the secular business world too. 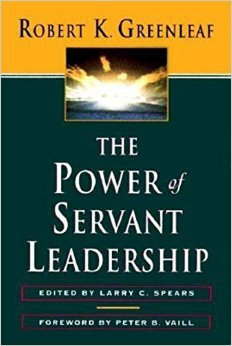 Robert K. Greenleaf’s Servant Leadership: A Journey into the Nature of Legitimate Power, published in 1977, has proven hugely influential. Greenleaf’s suggestion is that people ‘will freely respond only to individuals who are chosen as leaders because they are proven and trusted as servants’ (Greenleaf, 1977). Servant leadership doesn’t mean being a doormat, or never disagreeing with anyone, or being lax about discipline. But it does mean that leadership is other-person-centred. It is about what is best for the one being led, not what is best for the leader. As I consider how best to train our new leaders for 2017, I see a group of excellent young women and men who I am confident will continue to serve their fellow residents in their new leadership positions. As we seek future leaders for 2018 and beyond, it is those who have demonstrated a desire to serve that we look for.